Longbridge Deverill is a listed building set in 4 acres of mature, landscaped gardens, and was originally built by the Thynnes of Longleat as a Rectory. It is conveniently situated in the village of Longbridge Deverill, only 3 miles from Warminster and benefits from a regular bus service into Warminster. The public rooms are tastefully furnished and decorated creating a relaxed and homely atmosphere. We are registered for 20 older people including a few with confusion, mental health or other needs. We provide 24 hour care. The rooms have character and are single, all with en-suite facilities. There is a choice of rooms on the ground or first floor, the first floor being serviced by passenger lifts. All the rooms have nurse call system, telephone and TV points. A number enjoy thier own private patio area. Our residents actively participate in their individual care planning, and we have a good working relationship with outside care professionals including district nurses and community psychiatric nurses. Our staff are highly experienced and motivated, with the utmost care taken in recruitment, retention and staff development. 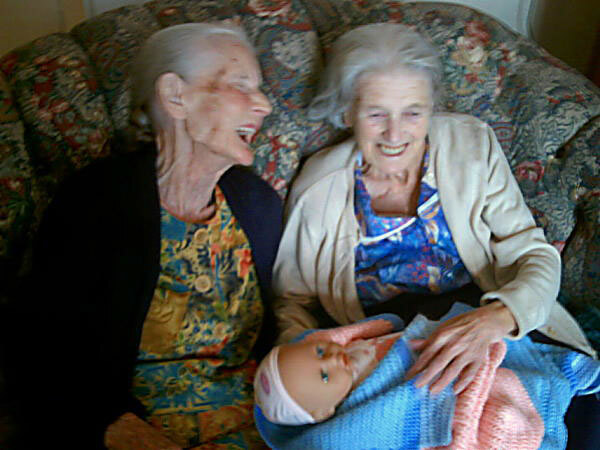 All staff are trained to nationally recognised standards and have an understanding and empathy with the elderly. Whilst aiming to provide a high standard of physical care, we encourage our residents to maintain their independence. The residents opinions and suggestions are always listened to sympathetically. We believe we have a relaxed, happy atmosphere here and residents can choose how and where they spend their time. Our staff are selected with care with special reference to personality and experience, and we believe in their continued development and training. To that end, Equality Care Ltd has achieved the Investors in People Award.